We have a very inspirational speaker slated for our April 18th meeting! You won’t want to miss this one so make sure you rearrange your schedule if you need to. 1. The five success drivers that can directly and positively impact a company’s long term success and financial health. 2. How leaders can implement and/or strengthen focus in these five areas. This is information we can all use to help further our businesses and move us forward. 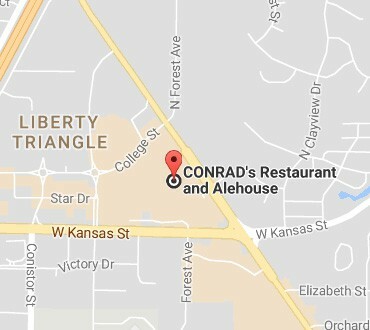 We will meet at CONRAD’S Restaurant & Alehouse in Liberty at 6:30. We hope you can make it. If you have questions please feel free to post them here or send PM’s. 6:30 Food and networking and speaker. RSVPs needed. Bring a friend!